Early childcare is a huge market, totaling over $48 billion in the U.S. alone, and yet it doesn't seem to be working for anyone involved. For working families, good quality and affordable childcare is often expensive and out of reach. While there are 15 million kids under the age of five in paid care programs, half of parents aren't happy with their options. And the care providers themselves are underpaid and overwhelmed by the amount of work involves. All of these pain points are being solved by MyVillage, a company that provides educators with tools and mentors designed to help them get their business off the ground, while also making it easier for parents to find a good program that works for them and their child. 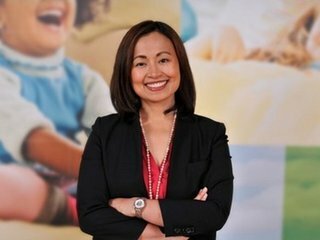 "We are trying to solve the trifecta for families, where it’s basically impossible to get quality, affordability and availability for childcare, unless you get on a wait list before you start thinking about conceiving these days, in the U.S.," Erica Mackey, co-founder and CEO of MyVillage, told me in an interview. "Our solution is to make it easy to start a successfully run a high quality, home-based childcare, and we make it really rewarding for families to find and engage with their ideal programs." On Monday, the company announced that it closed $5.95 million in a seed funding round from investors that included Acumen, Jasmine Social Investments, Better Ventures, Atlassian Foundation, Kairos, Impact Engine, Red Sea Ventures and others. The funding, which includes a $1.2 million note that converted into this round, is also the largest seed round ever raised in the state of Montana. "For the most part, our investors had never invested early childhood education at all, so it's really important to us is that we’re bringing super high quality, mission-aligned investors and showing them that is a space that can be both profitable and meaningful in terms of creating a better societal future," Mackey told me. The Bozeman, Montana-headquartered company provides educators with resources that include access to a support community that helps them get the resources they need to set up their program. MyVillage also gives them a toolkit that includes software, as well as documentation and support to help them get licensed, while also giving them help in finding the right curriculum and with their training. In addition, MyVillage also helps educators market their program, including providing them with a professional photographer, while assisting them with their website. "Some of the pain points from the provider perspective are that they’re isolated, and they feel like they aren't treated as professionals or surrounded by professionals. It's really challenging to figure out how to run your own business, particularly for being a home-based business owner and educator, where you have to be front of the house, back of the house, marketer, chef and, on top of that, provide great experience for families and kids in care for eight to 10 hours a day. It’s pretty much an overwhelming amount of work," said Mackey. "We make it easy by connecting them with a local mentor and a national support community that’s incentivized to see them succeed." On the parents side of the equation, MyVillage provides them with a matching process so that families can tell the company what they’re looking for, and then they will be connected for tours of prospective programs. "We have workflow management software so they're able to stay connected to their kid’s journey as they’re away from them during the day. And then we have all of the support tools to build a really solid and responsive relationship between the educator, the parent and the child," Mackey said. 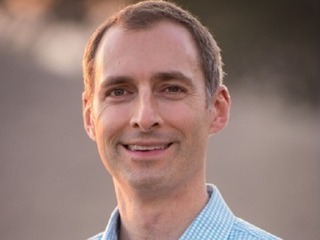 After being in operation for only a year, MyVillage has already seen higher than 98 percent customer satisfaction rating (NPS) from parents, while educators are often seeing their bottom lines rise by more than 50 percent. "We're helping them fill programs so that they've got full occupancy but then also, through economies of scale, driving down their costs, helping them get connected to discounts and we pay for their insurance and pay for the curriculum they use. So we take a lot of their ongoing expenses off their plate," said Mackey. Most importantly, no educators have yet to churn out of the system yet, and 50 percent of the community have already referred others to join. "We have a high referral rate, low churn rate and our educators are earning more and report feeling very part of a connected supported community. It's often not as intuitive why people close their doors, but it's super isolating in the four walls of your own home, when you don't have a broader community to support you through your journey, so one of the most important things that we have built is this professional support community." Right now, MyVillage has around 30 schools open, with programs that have either have six or 12 children, while there are also roughly 270 families on the platform. The company makes money by taking 10 percent of the admission fee; parents process their payments through MyVillage, and the company then gives the other 90 percent to the educator. The 50 percent in earnings is after that 10 percent that is paid out to MyVillage. "This last year has been about really proving that the unit economics of each of these home-based businesses can really work and our unit economics to support them also work. It has been about showing what a critical pain point this is for our society and then proving that we have a viable solution and we do it in a replicable way. Now, we’ve got that traction behind our back," Mackey explained. Competitors in this market include companies like Care.com, WonderSchool and WeCare, but My Village differentiates itself in a number of ways. "For us, we were committed from the very beginning to building brand new, quality supply of high quality care. Both of us, my co-founder Beth and I, are parents ourselves with kids that are in this age range and it was essential to us that we created a growing community of programs that we would feel a thrill to put own children in. It wasn’t an option for us to compromise on quality," Mackey told me. "From the very beginning our model has taken a path where we end up building a franchise; so we franchise the living rooms, kitchens and backyards of educators homes to ensure that we create a quality standard that all of our programs had to hurdle, and that we can invest a significant amount of support to ensure that they were high quality and continually improving on the quality in their programs." A big part of MyVillage's mission is about not just about finding an existing marketplace and connecting parents to it, but actually building up the supply side, to actually create programs for children to attend. "Over half the programs that we created have never done this before. We are indeed creating something that is viewed by parents as high quality, that they’re highly satisfied with, from scratch. It’s not just about going and finding the marketplace that exists and bringing them on, it’s about ensuring that we’re creating a movement that solve the deficit of quality supply." The other way that MyVillage separates itself from the competition is through its rigourous vetting process. Care.com recently had to remove 70 percent of daycare centers from its site, and that is because, as Mackey explained it, "they were not licensed, which means they weren’t background checked, there was no regulation checkpoint that was imposed on them." With MyVillage, she said, that is their minimum standard and, in fact, they go much deeper in terms of vetting, doing background checks on everyone who lives in the home, even if they aren't around during school hours. Also, as part of being in the community, every program must be on their state's Quality Rating and Improvement System (QRIS), which includes in-person audits, checkpoints and additional training resources. This is on top of the aforementioned mentor who will meet the rest of the family and will see the program environment first hand. "We are unique because we are so squarely focused on quality and that is so essential to us because we are a company of parents who are right in the thick of it ourselves." The funds will be used, at first, to expand childcare locations in the company's current markets in Colorado and Montana, before looking to expand into more states towards the end of this year. "This money is really to build out our saturation model in the two states that we’re operating in and then take those lessons to apply to make our target list," said Mackey. "We are doing a fairly heavy lift upfront in understanding all of the regulatory pros and cons in these states. We’re got a good formula right now, but we are really using the first half of this year to test out our hypothesis around great markets." While she couldn't say which states in particular MyVillage might be expanding to next, she did lay out some of what the company is looking for when it does choose to expand. "I would say we’re certainly looking at places that have really high growth towns to city-size that are probably more Main Street U.S. than the coastal bubbles and where the home-based model and where homes are a staple and where the home-based model can really flourish," she said. "There’s a lot of cities in middle America that are super attractive, but we’re looking at places that have suburban sprawl and have a lot of young families that are moving in and have increasing rates of home ownership. Things like that." Ultimately, the goal of MyVillage is to be a ubiquitous presence across the entire country, and being known as a brand that can help children with their development. "In our minds, this is such a scalable model that can be everywhere across the U.S. We want to provide an affordable and inspiring start for every child in this country and then beyond. We want families to move into a new neighborhood and look and see that there’s a MyVillage down their street and sigh with relief because they know that we’ve got their back and their kid’s going to have a phenomenal start," Mackey told me. "Really, we’re looking at this as a ubiquitous solution that all families can afford and governments will get behind. A lot of the programs that we have already in our community extend their services to families who access it through subsidy programs, so state supported and federally supported kids in care too. We really believe that this is the best quality at the most affordable cost structure." In the short term, though, MyVillage is helping a lot of women achieve their entrepreneurial dreams. "We’ve raised the largest seed round in Montana and it’s also a whole bunch of working moms; we are 95 percent women driven in this business. It’s important that most of our programs are female entrepreneurs starting a business and helping six to 12 families be able to go back to work with peace of mind. That piece is very core to who we are." Better Ventures provides funding and support to technology startups building innovative solutions to big and important problems, from work and education to health and sustainability. Given the magnitude of the these problems and the enormous market opportunities they represent, it takes the best and brightest minds armed with the best resources to address them. These are the people we seek to back – entrepreneurs committed to using the tools and methodologies of the modern technology startup to build world-changing companies that make money and do good. We're thinking big and expecting big results, and so are the entrepreneurs we back. 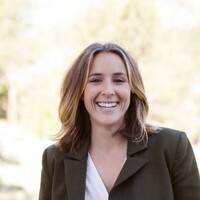 Erica Mackey is a serial entrepreneur who co-founded MyVillage. Previously, Erica co-founded and was COO of Zola Electric (previously Off Grid Electric), connecting over 1 million Africans to affordable solar energy. 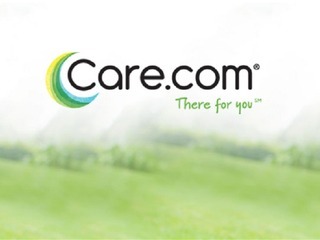 How does Care.com make money?